In need of a change, Jenna Hart leaves the high-pressure world of advertising to help her aunt Vera open a culinary bookshop and café. Back with her family in Crystal Cove, California, Jenna seems to have all the right ingredients for a fresh start--until someone adds a dash of murder. 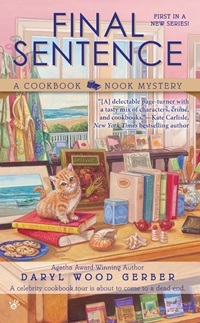 As a marketing expert, Jenna wants to make sure the grand opening of the Cookbook Nook draws a crowd, and no one is better at getting attention than her old college roommate, celebrity chef Desiree Divine. 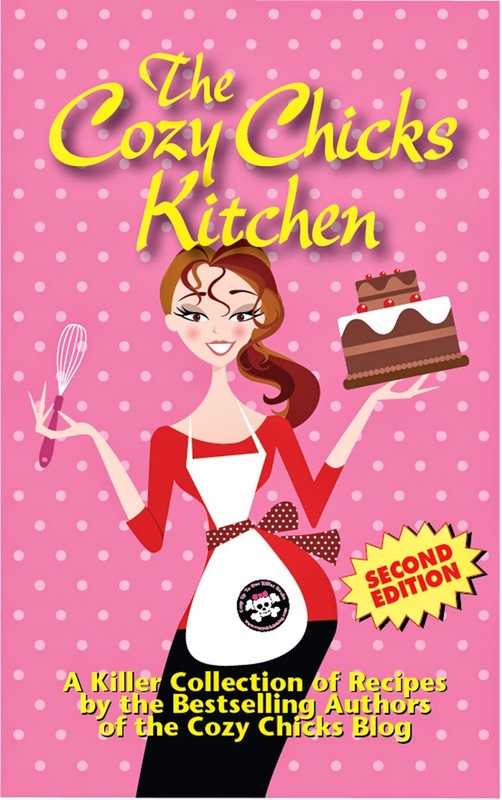 But when Desiree arrives in quiet Crystal Cove to do a cookbook signing, the diva stirs up more trouble than business...especially when she turns up dead. Known for stealing husbands and burning bridges, Desiree left behind plenty of suspects--including Jenna. Though the celebrity's life always appeared to be an open book, Jenna will have to read between the lines in order to clear her name, and catch a killer before another body is served cold. But the idyllic setting is soured when a retreat regular is found murdered in her hotel room. Feeling a sense of responsibility, Casey begins to weave the clues together and detects a pattern which may shed light on her aunt’s suspicious death. Despite the danger, the last thing Casey plans to do is retreat. She’ll catch this killer...or dye trying. 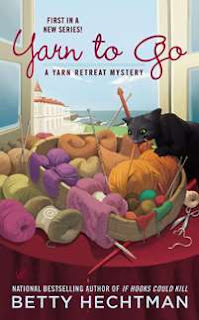 This is one of those books with a comfortable tone that flows evenly and the more I read in this lighthearted whodunit, the more the suspense kept me turning the pages as I need to know how it was all going to end. Was Casey going to repeat her lot? Did she have it in her to continue? Could she solve this crime? This book was a delightful read and the author did a good job in delivery a nicely knitted yarn where the setting was idyllic, the dialogue entertaining and the cast that included Casey, Lucinda and hunky Dane was fun to watch as they interacted with the secondary cast which made this murder mystery pleasantly appealing and a good start to this debut series. If you could talk to the animal, you would learn so much about their humans. That is what happens to Grace Wilde, animal behaviorist, when she is called in to calm Jax, a Doberman, who witness the death of his master and as he gets closer to opening up his mind to the killer’s identity, the closer it puts Grace in a killer’s sight. 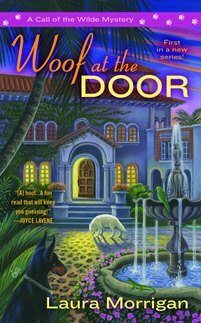 This was a wonderful read that captured my attention immediately as this quickly became a page turner as I wanted to know more about Grace and her ability to commune with animals. This was a good nail-biting mystery as I had to know who was behind the murders, and boy was I surprised when the killer was revealed. The author did a good job in keeping me in suspense with plenty of suspects and several twists, that I didn’t see coming. I like Grace who is a strong heroine, yet vulnerable who along with Moss, her half-wolf dog, her sister Emma, best friend Sonja and potential love interest Kai Duncan, rounded out this superb cast of characters which also provided engaging conversations and non-stop action. I look forward to spending more time with Grace and her friends in this terrifically likable new debut series. Thanks so much for including me in your report, Dru!! Was trying to reference Woof at the door as one I'm adding to my TBR stack. My iPad & your comment program do not seem to play nice together. DruAnn, it is nearly unfair that you continue to increase the number of books I feel I need to read. Thanks. I can't wait to get reading. Thanks, Dru Ann! Anxious to read many of these! Thanks for the ideas. I enjoy these reports, gives me an opportunity to see new listings and read different authors. I have a question, on "Rubbed Out", will you tell me the complete title and the author? The cover is too dark to read, even enlarged. Thank-you. I do have the new Annette Blair on my desk right now, and I have the paperback of the latest Lorna Barret. I really want Woof at the Door though, and the cookie book. 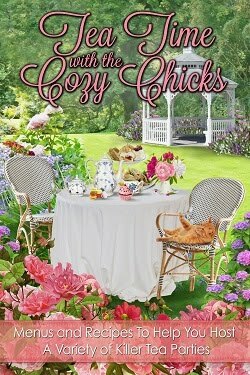 and I love cozies about crafts - adding the series by Betty Hechtman to my list.